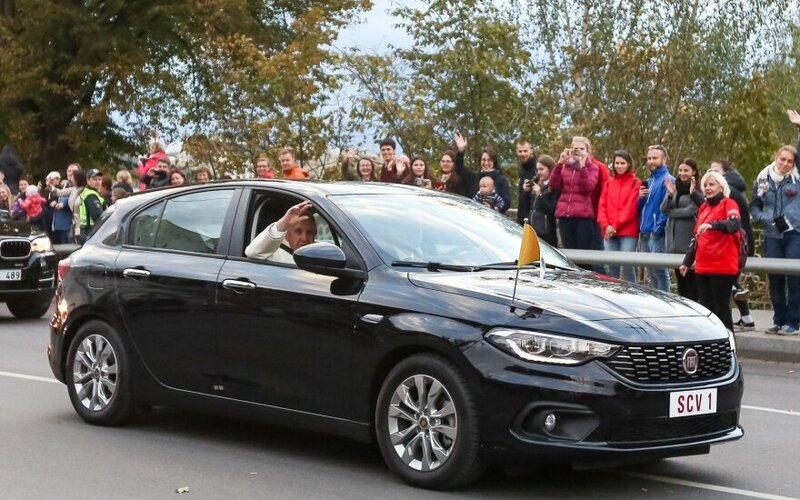 The Fiat Tipo Pope Francis used during his recent visit to Lithuania has been given to the Congregation of Missionaries of God's Love Sisters. According to Fiat's official distributor in Lithuania, Autobrava, the nuns received one of the six vehicles used by the pontiff in the Baltic states, with the remaining five due to be sold. Vehicles used by the pope are usually given to charity or auctioned off. Sister Marija of the monastery said sisters spend their time providing assistance to the needy, visit them regularly, take some of them to hospital, and use public transport. "Therefore, the provided support will be used for the benefit of the poor, so that we could reach them easier and bring them somewhere if needed. We are very grateful," she said. Fiat Tipo prices start at under 13,000 euros.